Resa Blatman creates paintings that overflow with visual feasts of fruit, flora, wildlife, and pattern. 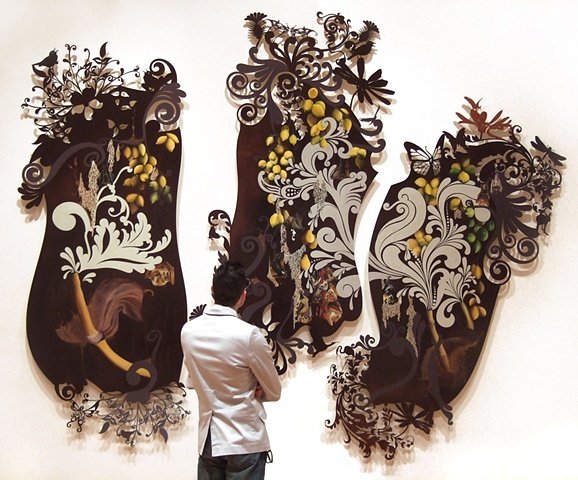 She skillfully blends immaculately painted animals, insects, eggs and fruit with flat, graphic scrolls and finials. 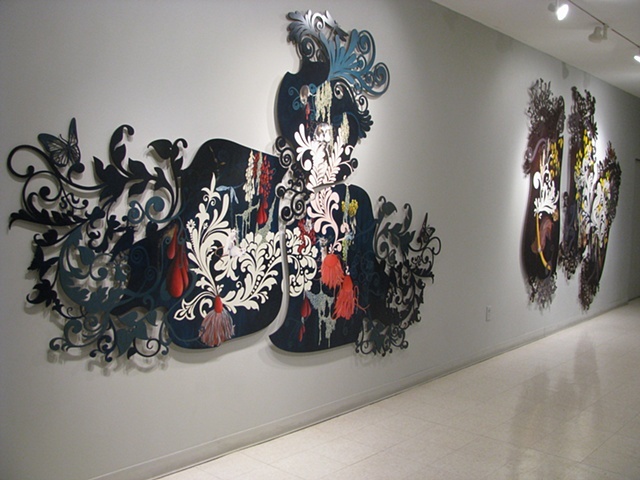 The work is painted on metal grounds whose borders are intricately cut into shapes that extend from the painted shapes. 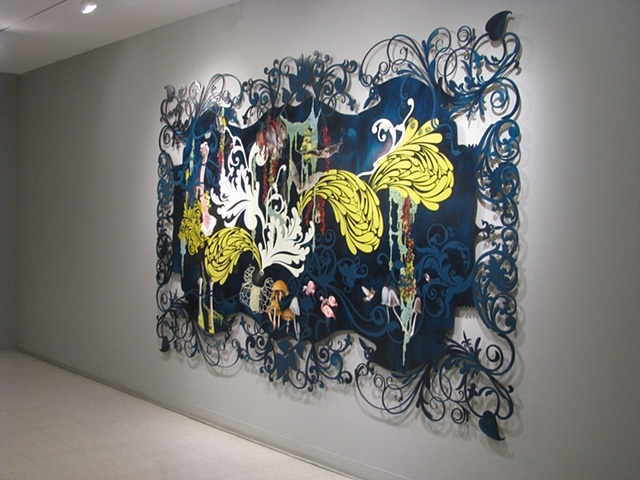 Blatman draws inspiration from botanical imagery and Baroque, Romantic, and Victorian art historical styles. The combined visual approaches create a visually rich dialogue of juxtapositions.